HubBroker offers a unique feature to expand your data and/or document exchange with your customers and suppliers. HubBroker Trading partner Network Directory gives you a quick overview of document types and document formats that your trading partners support. This enables us to immediately assist and support activation of EDI setup via the HubBroker integration platform (iPaaS). Currently, HubBroker supports more than 300,000 known endpoints (recipients) and their desired format and exchange method. Let's learn more about Trading partners in HubBroker. 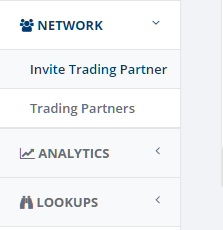 You can click on 'Invite Trading Partner' to invite new trading partner. You can fill out required details like Company name, Contact Person Name and Company Email Id to invite new Trading partner. It displays all the details of Trading partners which HubBroker Supports. 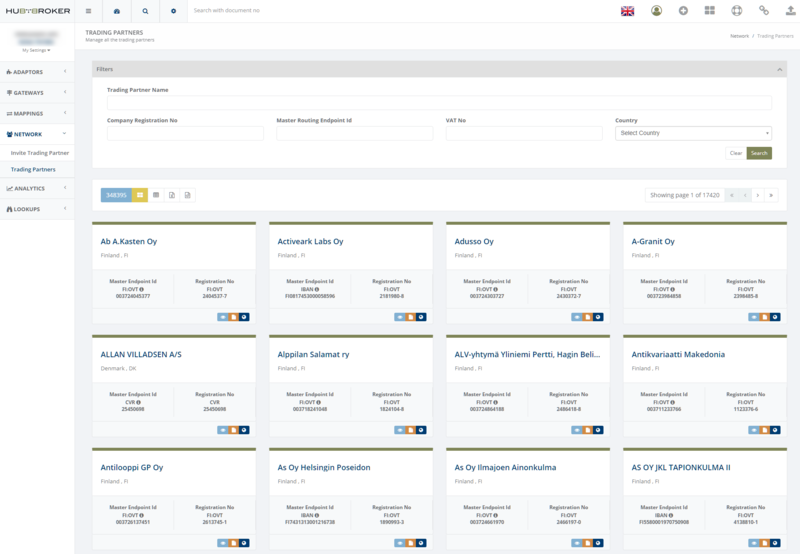 You can filter the trading partners data using filters option like trading partner name, company registration no, Master routing endpoint id, vat no and country. 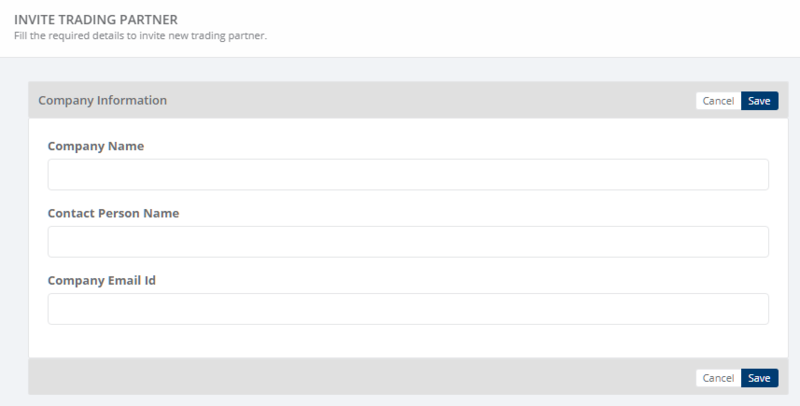 You can view all the details of trading partner using buttons displayed in footer section of trading partner. When you click on 'View company details' button then it will display below screen with detailed description of company details. You can view all the trading partners in table view also. You can export all the trading partners data into excel and xml format.